This item has been discontinued by the manufacturer. Please call us at 800-544-0048 to discuss your options. Philips brand AEDs operate on batteries only. Always have a fully charged spare available. This is a replacement battery pack for your older Philips HeartStream Forerunner AED. 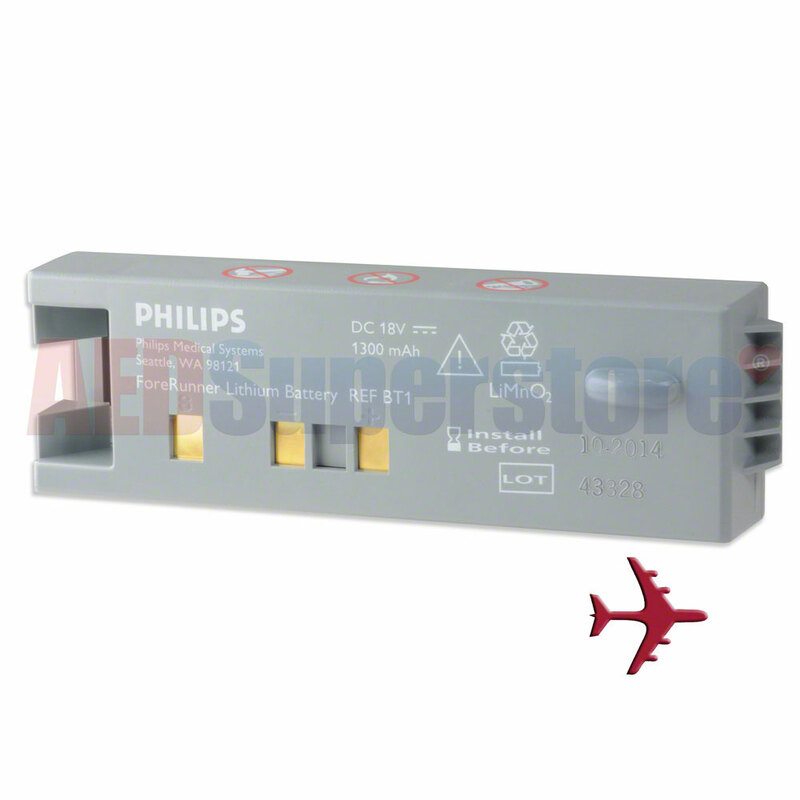 The Philips BT1 battery will not work with Philips FR2 or FR2+ AEDs although the devices appear similar. The AED Superstore has the best price on this battery and free ground shipping within the lower 48 United States is included. To place an order just call us and a friendly, knowledgeable customer service agent will help you. Or, click to add it to your cart to purchase online. Good battery. Exactly what I wanted.